Winter in Montreal can be tough, with temperatures that drop well below freezing and towering drifts of snow lining the streets. Fortunately, there are plenty of fun activities that bring some festive joy to the city throughout the holiday season. 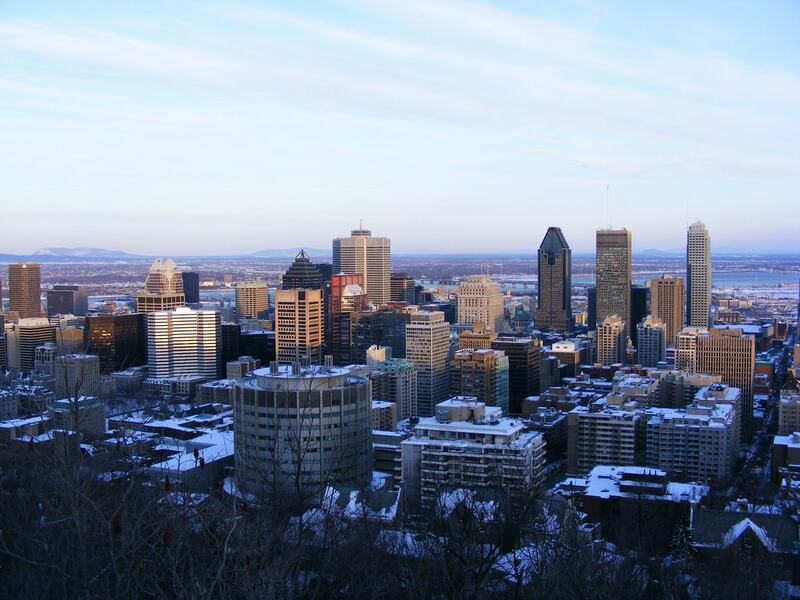 Here are some of the best things to do in Montreal for Christmas. La Petite Floride, or Little Florida, is a winter market that had its first successful run last year for the 2016 holiday season. Looking ahead to December, this Mile End winter paradise is an outdoor communal space designed to convey some winter cheer by gathering together features of culinary culture, coffee, art, and winter games, all in one magical space that re-imagines an otherwise industrial area. La saison est officiellement lancée! Merci d'avoir bravé le froid pour venir mettre de la vie sur ce site. // La Petite Floride is officially on! Thanks for showing up despite the cold and bring this place to life with us. Every weekend from December 1–25, 2017, Christmas in the Park will be happening in three locations around the city: Place Emilie-Gamelin, Parc des Compagnons de Saint-Laurent, and Parc Lahaie. 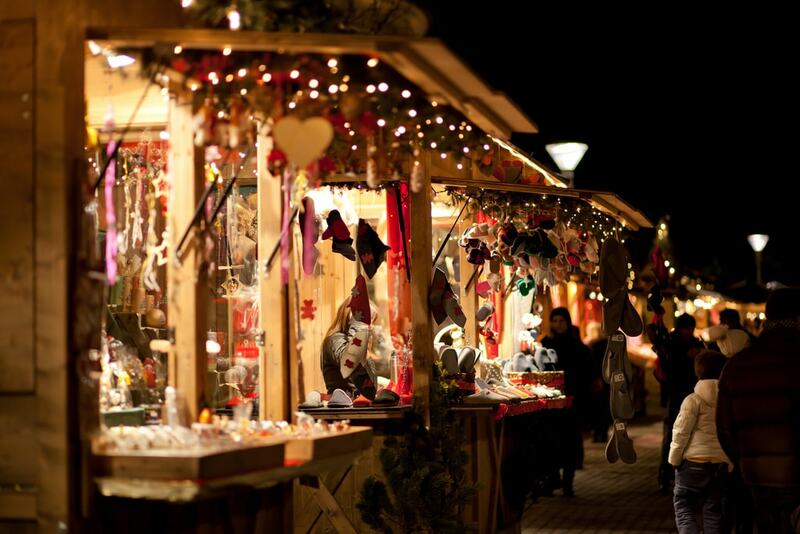 Come for carol singing, Santa Claus, outdoor fireplaces, festive eats, and the markets. For a break from holiday merry-making at Christmas markets, you can head over to Mont-Royal Park for some laid-back skiing time. If you don’t own skis, you can rent some gear from Fitz and Follwell or Le Yéti. You can get a good workout while enjoying a great view of the city skyline. For another outdoor activity to try during the holiday season, head over to Old Montreal’s Ice Fishing Village. The experience involves a heated boat ride to prime ice-fishing spots, heated tents, and expert guides. Check out their calendar and book in advance here. As an alternative to the large downtown Santa Claus Parade that happens in mid-November, on the first Friday of December you can experience the Christmas parade that takes place through Plaza Saint-Hubert. Known as the Défilé des rêves (Parade of Dreams), it can attract around 30,000 attendees. 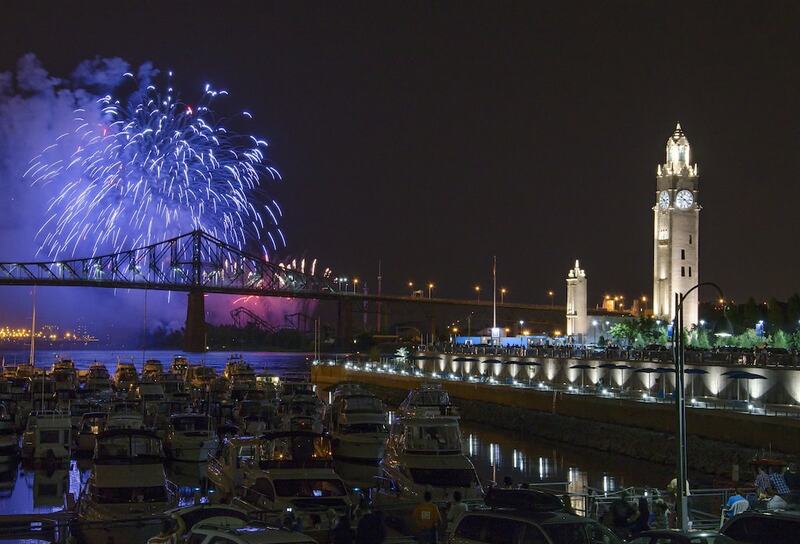 Locals and visitors can view an elaborate display of fireworks from the Old Port almost every Saturday in December, extending into January 2018. The Fire on Ice show, known as a “pyro-musical” show, is wonderfully choreographed to sound. The display usually starts at 8 pm and lasts for around 15 minutes at the Bonsecours Basin, where you can ice skate in time to the music. As with every edition, admission to Fire on Ice is free and open to all. Avenue Mont-Royal in the Plateau neighborhood becomes very festive through the season, with holiday-themed events and animations, including a candlelit walk (December 19th), fireworks, and free shows. Enjoy the lights, decorations, and festive window displays with a cup of hot chocolate in hand as you stroll down the avenue. Hosted by Les Grands Ballets, the Nutcracker Market has been running since 2010. Held in the Montreal Palais des Congrès’ shopping mall, the market’s 105 exhibitors attracted 75,000 visitors in 2016. Exhibitors will donate 10% of their proceeds to the Nutcracker Fund, which benefits disadvantaged neighborhoods and sick children in Montreal. In 2017, the Nutcracker Market will run from November 30th through December 10th.